Point to note that, Visual Studio 2017 version 15.9 would be the last/final release of Visual Studio 2017, as it has been designated as "Service Pack". Microsoft won't be releasing any further updates to it. What's new in Visual Studio 2017 version 15.9? The latest version of Visual Studio 2017 (version 15.9) includes many new features, improvements and bug fixes. Among those, here is a list of key improvements added to the most popular IDE. If you didn't yet upgraded to the latest version, check for the update notification within Visual Studio 2017. You can now use the Visual Studio Installer to export a .vsconfig file for a given instance of Visual Studio and then import this file to add these workload and component selections to another installation of Visual Studio. It will be now easier to consume and manage symbol packages from sources like the NuGet.org symbol server. A new portable-pdb based symbol package format (.snupkg) has been added in this build. The latest Windows 10 SDK (build 17763) has been included as an optional component in the Universal Windows Platform development Workload. You can now build ARM64 UWP applications. You must set the Minimum Version of your application to the Fall Creators Update (Build 16299) or higher. Developers can now specify Control Display Options when using the XAML Designer while building UWP applications targeting the Windows 10 Fall Creators Update (build 16299) or later. The XAML designer now automatically replaces controls that throw with catchable exceptions with fallback controls. Visual Studio, MSBuild, NuGet.exe, and .NET now support a new Credential Provider plugin interface, which can be implemented by private package hosts. Visual Studio editions (including the Build Tools edition) now deliver the Azure Artifacts Credential Provider with certain workloads. Starting with this release, the .NET Core tools for Visual Studio will now default to using only the latest stable version of a .NET Core SDK that is installed on your machine. Visual Studio Tools for Xamarin now supports Xcode 10, which allows you to build and debug apps for iOS 12, tvOS 12, and watchOS 5. Visual Studio 2017 now supports new templates that will allow you to create SharePoint 2019 projects. You can also migrate existing SharePoint projects from both SharePoint 2013 and SharePoint 2016 to the new project template. TypeScript 3.1 is now supported in Visual Studio 2017. 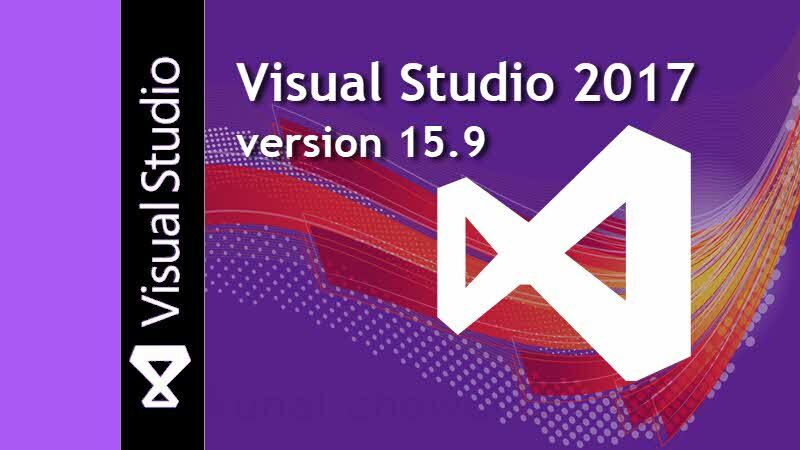 If you have come this far, it means that you liked what you are reading (Visual Studio 2017 version 15.9 (final Service Pack) is now available for download).